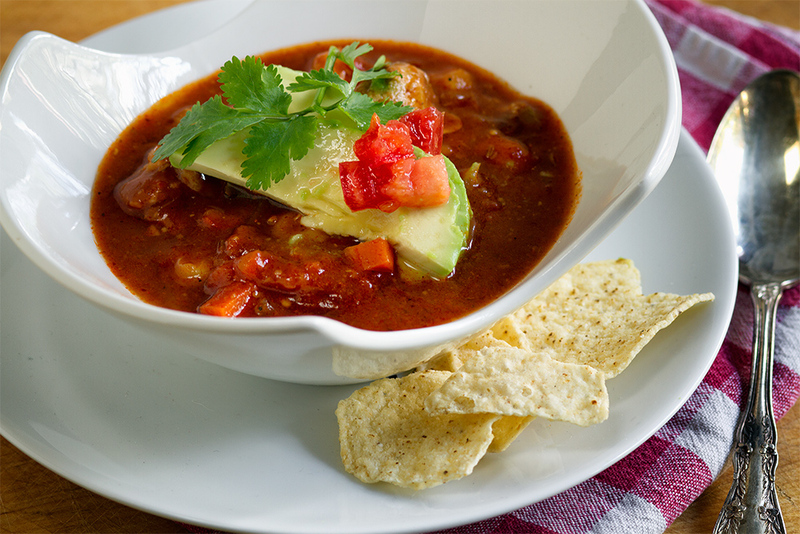 Spicy Red Chicken Posole in a Crock or What to Eat While You Are Planning a Wedding – We Call Him Yes!Chef! Activities are starting to heat up around the Schmautzhaus, even though the weather has been a little chilly, because my only daughter is getting married this summer and we have lots of planning to do. What better way to conquer the cold and plan a wedding at the same time than making something in the Crock Pot? Yes!Chef! has never been a fan of the Crock Pot. He won’t tell my why…he just shrugs his shoulders. But, I think it’s because it doesn’t feel like cooking and, more importantly, you can’t lift the lid and stir it around while it’s cooking. Now, he says he is really enjoying the slow cooker and so he made some spicy Posole in the crock to prove it. 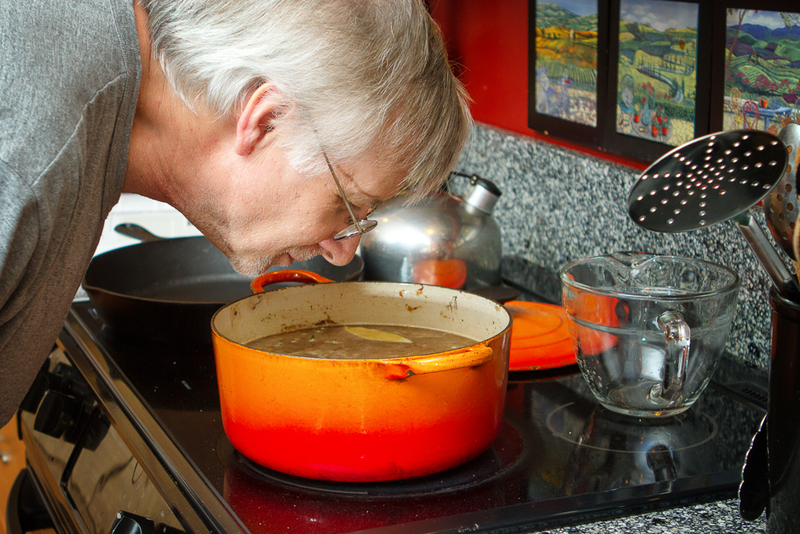 When the kids were young and I did most of the cooking, I loved to make things in the crock because: you chop up everything in the morning; throw it in the pot; don’t worry about it all day long; the house smells good all day long; and you end up with a great meal. However, as soon as Yes!Chef! got home from his day job, he would wander into the kitchen, ask me what’s cooking and before I could say anything, he would open the lid and stir it around. No amount of reasoning, pleading, sobbing or begging him him not to touch the crock helped. He always opened the lid and stirred it around. In fact, when we made the Picadillo a couple of days ago, he claimed he couldn’t smell it cooking and about 1/2 hour before it was ready he lifted the lid to see if it had any smell. What? Please, please, please do not do this. Read my Crock Pot Picadillo recipe for the reason not to lift the lid. RESTRAIN yourself. The reason there is a glass lid on the pot is so you can see into it and you won’t have to lift the lid. As I mentioned, my daughter is getting married this summer and plans are moving full-bore ahead. I’ve never planned a wedding before (my mom planned mine for reasons I won’t go in to now.) My daughter and her fiance seem to have things together and we are trying to help wherever we can, but we don’t want to take it over. This is their wedding and it needs to be about them and planned by them. I did do an engagement photo shoot for them a couple of months ago because they wanted to get out their “Save the Date” cards. My daughter will not allow me to take the official wedding photos nor will she allow Yes!Chef! to have anything to do with the cooking. We are both dead in the water in those two regards. I did get to choose the photographer, who is a great photographer and a wonderful friend of mine. In case you are planning a wedding in the Northern California/Sacramento area and you want a good photographer, you can contact me (shameless plug) or my friend Steve Batz of Steven Edward Photography. 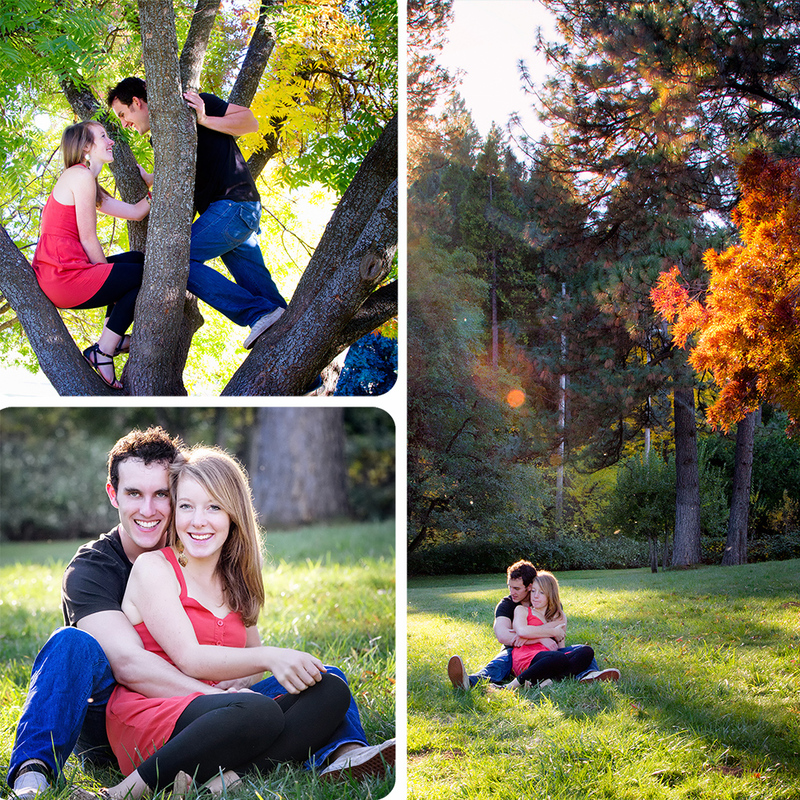 At any rate, they will be getting another set of engagement photos taken by Steve in the very near future. My daughter told me that she had been looking at Pinterest for an idea on their “Save the Date” card but everything seemed so trite and overused. They wanted to use a couple of frames in their card that would tell a story. I had no ideas, but apparently her fiance had been thinking about it and came up with a unique idea that none of us had ever seen before. 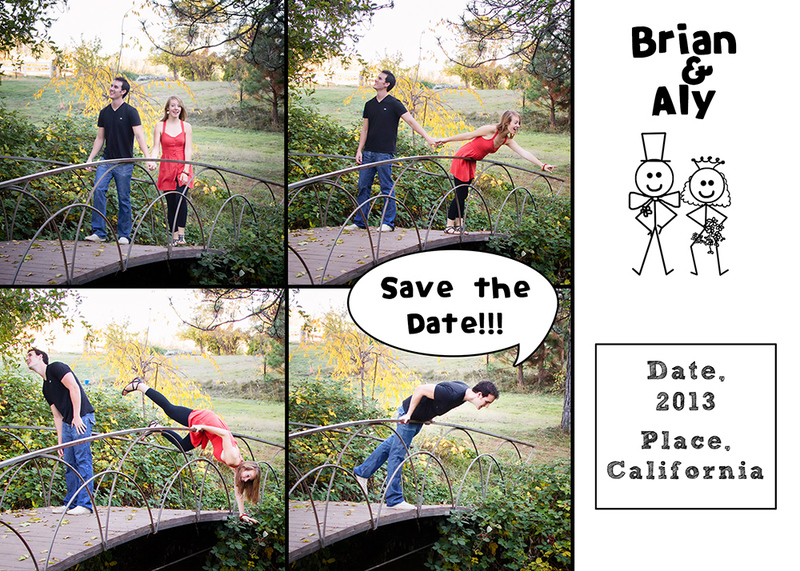 Once you see the Save the Date card, you will see what a fun and quirky relationship my daughter and her fiance have. See what I mean? When Yes!Chef! first saw this series, he said, “What happened to Aly?” as if she had really fallen in the river. That made me laugh. So, the Crock Pot meal is a great thing to have when you will be busy planning a wedding, or shoveling snow outside or gone for the day because you work outside the home. I highly recommend having a crock pot in your house. 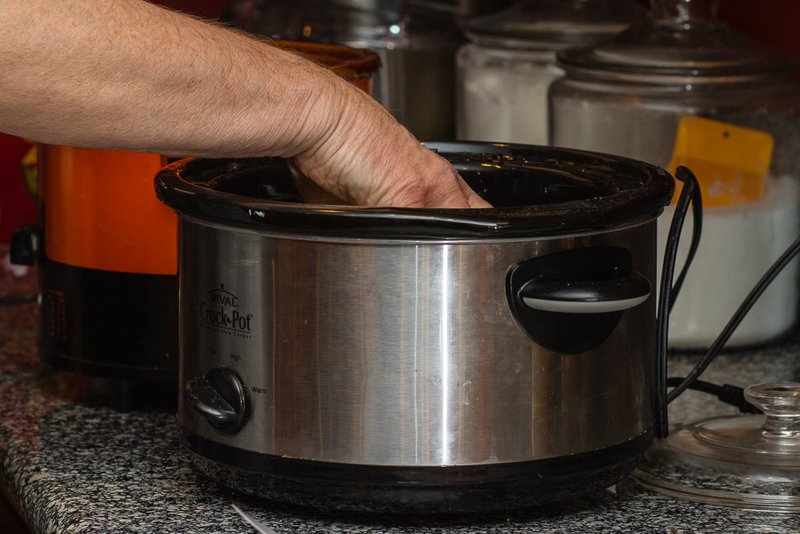 We use a couple of Crock-Pots, but the one we like best is the Rival 5 Qt. Crock pot with the removable liner. We like the removable liner because it is easier to clean and you can store it and the leftovers in the refrigerator, which we did when we made the Posole. However, any large Crock Pot or Slow cooker will do. For this recipe, Y!C! does all his preparation before he actually starts cooking. As I have mentioned many times before, Y!C! takes his time with the preparation and he uses the best product that we can afford. And these two things are key ingredients to the end product being yummy. Fortunately, this recipe is quite economical and the preparations are easy. The hardest part (which isn’t really too hard) is roasting the peppers until the skin becomes blackened. Then, you let them steam in a brown paper bag which makes the skin easier to remove. I will also mention that these little Mini Sweet Peppers are wonderfully sweet. I’ve used them before in another recipe (Sweet Mini Pepper Salsa) and I have another recipe lined up using them in an appetizer. (Yes!Chef! and I could not stop eating the test recipe ones.) I should be posting that recipe later on this week in case you want to use them for a Super Bowl party. 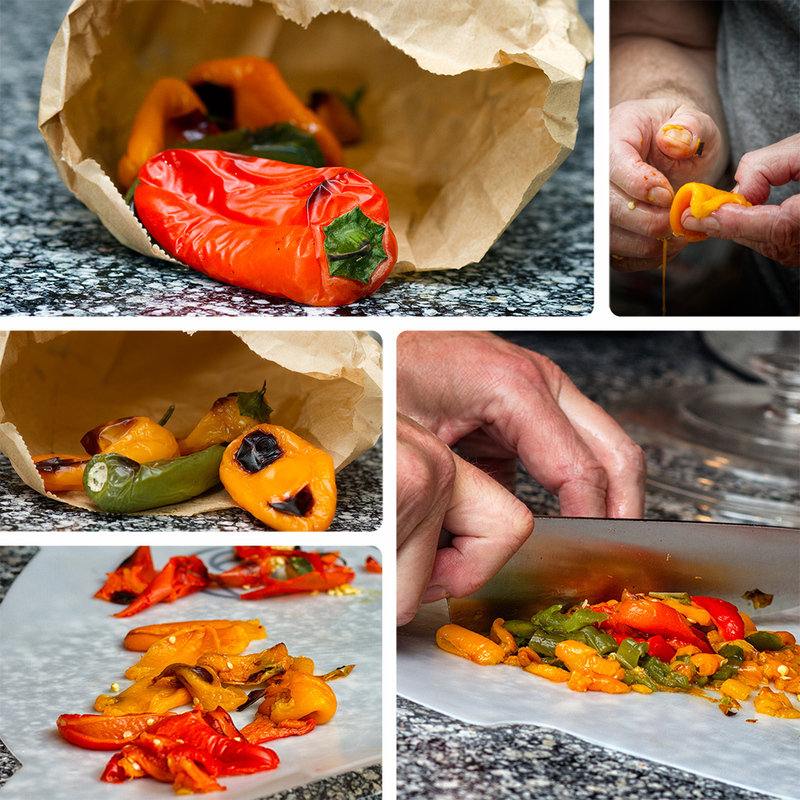 If you want explicit instructions on how to roast sweet peppers you can go here: How to Roast Peppers in the Oven. The rest of the instructions for the soup are pretty straight-forward and easy. I will say, though, that the finished soup is spicy. If you don’t like spicy Posole, then cut down on the Smoked Chipotle powder. If you like it much spicier, add some Cayenne (1/4 teaspoon or so) or a little more Smoked Chipotle Chile Powder. You can also cook this soup on High for 3-4 hours, but I think the flavor is much better if you cook it on Low and let it cook for 6-8 hours. Looks pretty good like this, but you can also embellish it with some sliced avocado, some chopped tomatoes and a little cilantro. Have a few tortilla chips on the side and you have yourself a very satisfying and yummy and spicy meal. Here’s the recipe that Yes!Chef! developed himself. 6 sweet mini peppers (We used Wilson Produce Sweet Mini Peppers that come in a bag). 1. Roast sweet mini-peppers and jalapeno in oven until skin is blackened. Remove from oven and place in brown paper bag to steam a bit. When coolish, remove from bag, peel off skin, remove seeds from jalapeno and chop. 2. Put handful of tortilla chips in food processor along with cumin seeds, coriander, smoked chipotle, smoked paprika, chili powder and pulverize until fine. 3. Heat oil in large pot on medium high. Cook celery, carrots and onion until translucent. 4. Add garlic and cook until soft (careful not to burn). 5. Add tortilla chip spice mixture, tomato paste, salsa and tomatoes. Cook until it begins to boil and then turn down heat to low. 6. Layer shredded chicken on bottom of crock or slow cooker. Stir in black beans, hominy, mini peppers, jalapeno and chicken stock. Combine well. 7. Stir in vegetable/spice mixture from stove top. Mix well. 8. Put the lid on the crock pot. Turn it on low and leave it alone (do not lift lid) for 6-8 hours. Enjoy! And remember that warmer days will soon be here. ← Orange Macadamia Cream Cheese Bread or That Name is Too long! This looks sooo yummy! Can’t wait to try it! 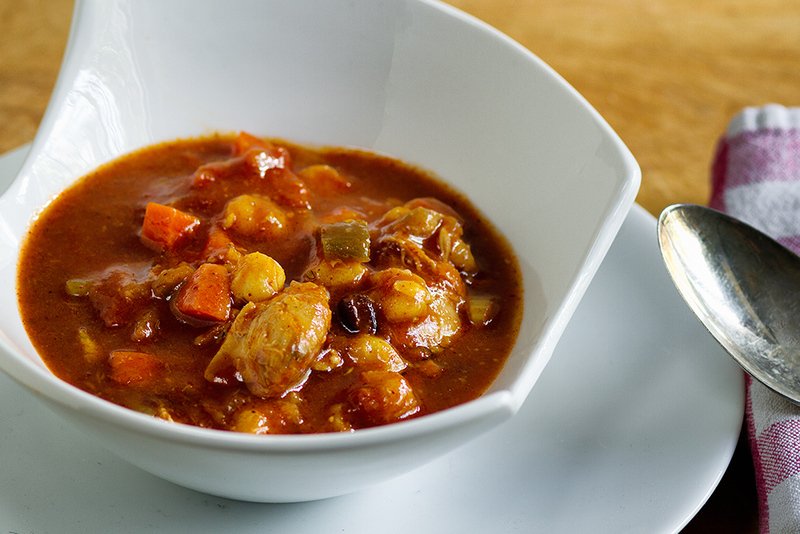 Go for the spicy version, but wait to test for spiciness when the soup is done. The spices mellow out quite a bit during the long cooking process! Let me know how you like it and thank you for stopping by. Thanks for the tips! I will be back soon, as I am following your blog! Have a great week! Awesome plug for Steve. Thanks for that. 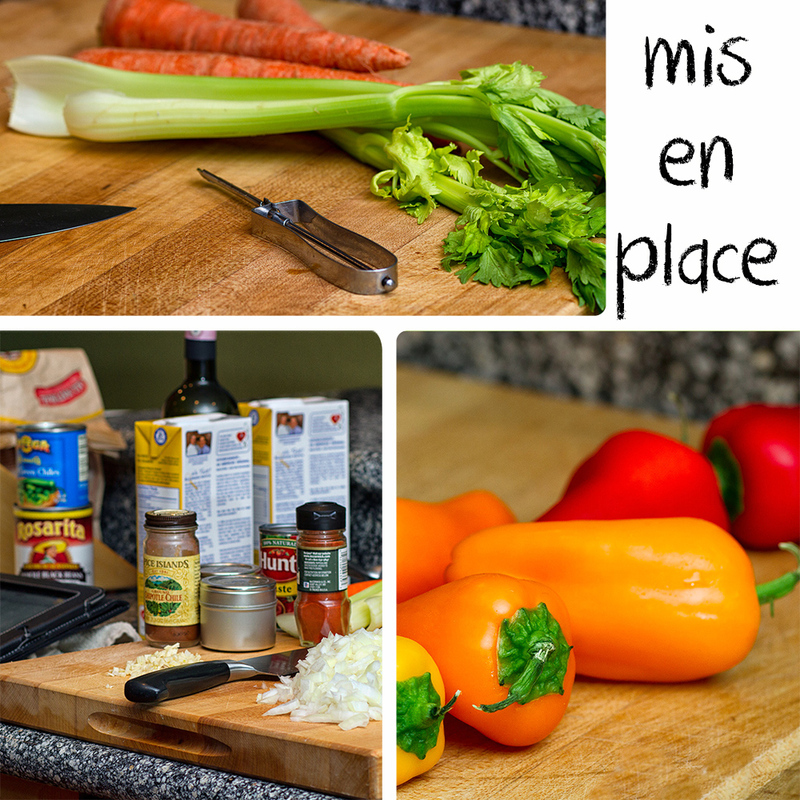 Your food and the way you post the recipe and story line is fantastic. I see a Yes, Chef book in the offing…. Thanks, so much, Sue. Steve is the best. How kind of you to say. thank you so much for stopping by. What an awesome dish! I love this recipe. And your instructions are so helpful. I totally agree with you about not opening the Crock Pot during the cooking cycle, but I’m a lot like Yes, Chef…I just almost can’t stop myself. I want a little taste and smell! I’ll try to be good. 🙂 The photos of the kids are just great…and they DO have a very quirky sense of humor. That bodes well for their future. Congratulations! hahaha…thanks so much. Y!C! has such an issue with opening the C-pot, so you are in good company. The chef he used to work for said, “Do you think stirring a pot will make it cook faster?” He stopped doing it after that. But he still wants to lift the lid. Truth be known, I bought whole chicken legs for that very reason. 🙂 Y!C! roasted 5 of them in the oven, used three for this recipe and then I used two for the stuffed Sweet mini peppers that I will be blogging on soon. Lovely looking recipe, look forward to trying. I would be lost without my crock pot, it has a permanent home on my counter. Adorable looking couple, love the save the date card, well done. And aren’t they such a good idea to send out well in advance. Thank you so much. I love my crock, also. Y!C! is talking about developing more recipes for the crock. 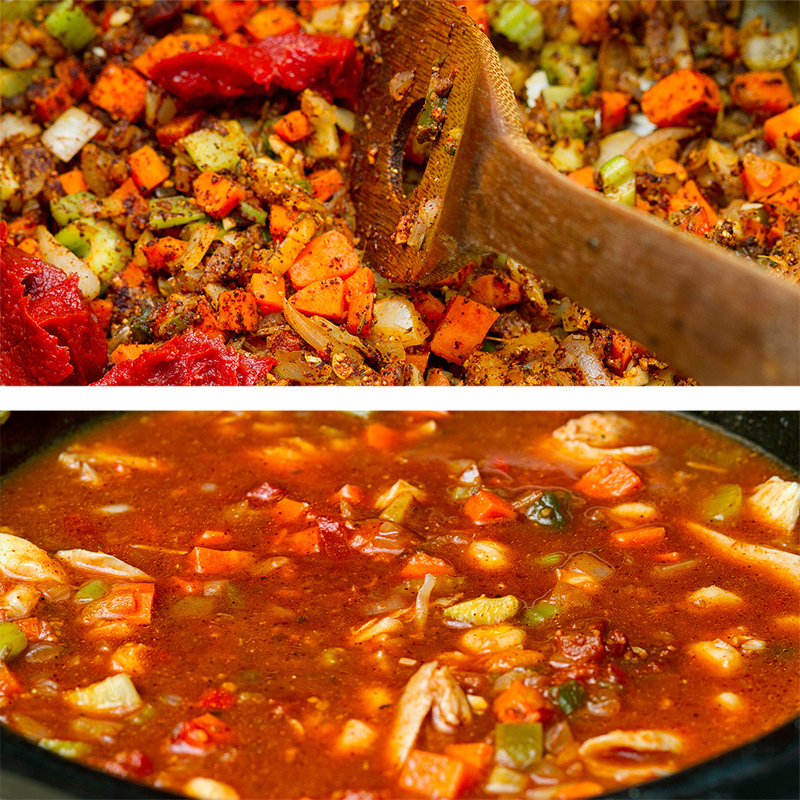 I have some of this in the crock pot and am doing a happy dance around the table…really! This blog is always a great inspiration for me. Let me know how we can improve it. Y!C! originally added 1/4 tsp. Cayenne along with the jalapeno and the Smoked Chipotle Chilli Powder. The first night the heat overwhelmed every other flavor but it had only cooked about 4 hours on high (we got started a little late.) We cooked it some more on low the next day after letting it chill in the fridge all night. Although it had some heat to it, the flavor was deep and rich and smoky. Long slow and low cooking definitely mellows the spices. 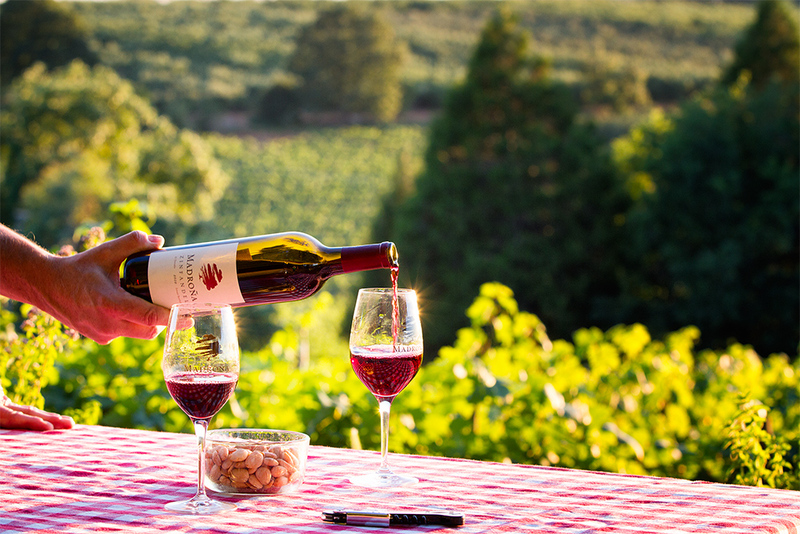 Oh my – this looks fantastic and I can’t wait to try it! And I love the Save the Date cards – Too cute and totally original! Yeah, we had that last week. Well, maybe not -10, but our pipes in the bathroom froze so it was probably in the low teens or less. I lived in Wisconsin for about 3 years and I remember one winter when the temps got below 6 or so and the wind chill was -60. that’s when I decided I wanted to move back to California. Hope you warm up. You have a great blog. Thank you Karen! And yes, if you lived in Wisconsin, you’re well aware of how crazy cold it can be in this area. lol! Have a wonderful weekend!